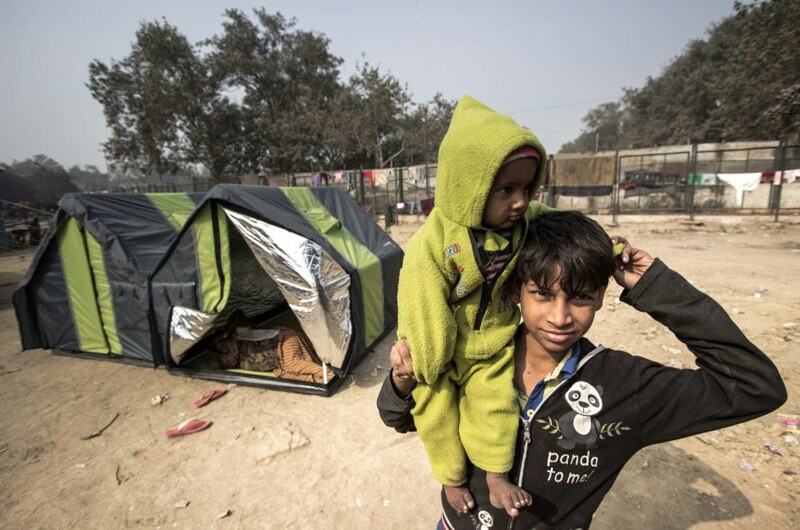 Riots in India left nearly 9,000 families homeless in 2013. Winter hit, and around 30 children perished because of the cold. 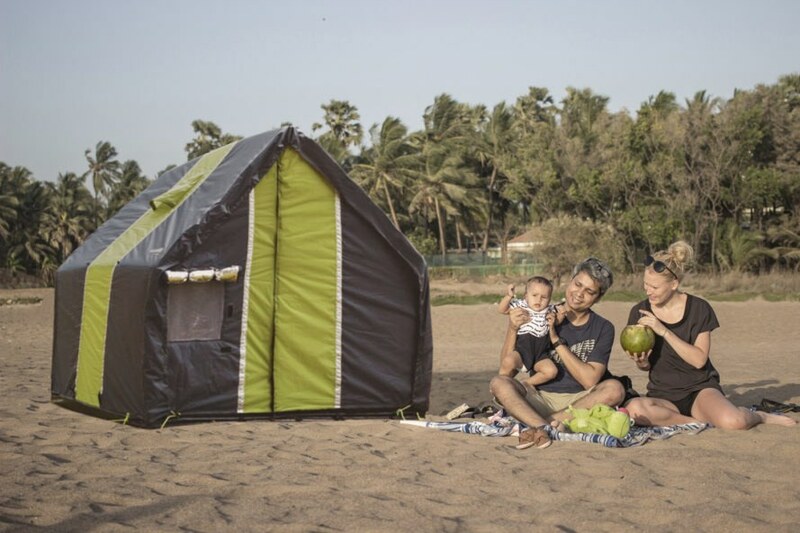 Prasoon Kumar had recently quit his job as an architect to start billionBricks, a design studio dedicated to solving homelessness, and decided to create the reversible weatherHYDE shelter to protect people from harsh weather. 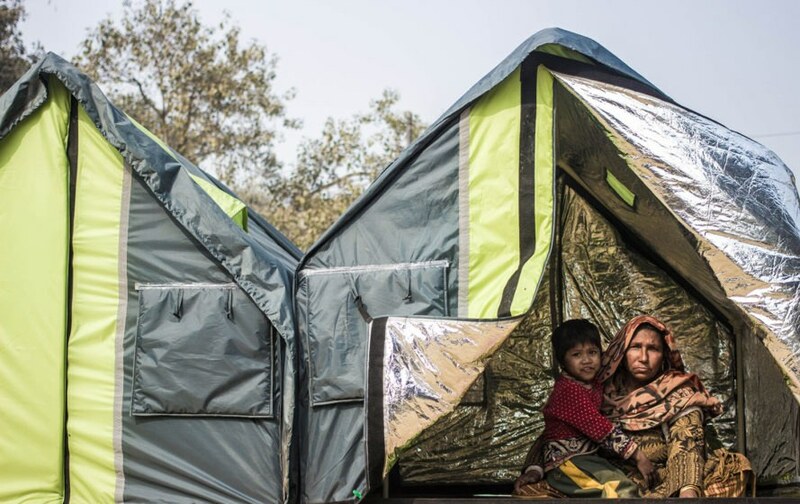 Inhabitat spoke with Kumar about how the tent empowers people – read on to hear what he had to say. As an architect, Kumar noticed homes for the poor were often designed and constructed so poorly no one wanted to live in them. He co-founded billionBricks to pursue quality design that would actually help people climb out of poverty, and came up with weatherHYDE, an all-weather shelter one person can set up in around 15 minutes without tools. Five people can sleep inside. The tent is reversible: one side reflects sun to cool inhabitants in summer; the other traps body heat to keep them warm in winter. There’s even a locking mechanism to afford some safety. Four principles guided the design of weatherHYDE, targeted for people in southeast Asia. First, Kumar said they viewed the homeless not as beneficiaries, but as consumers. “We were not designing something to give to them but something they would want. Then this whole idea of us being superior and them being inferior who need to be helped is not there,” he told Inhabitat. Second, billionBricks had to provide a product not simply for individuals but entire families. Women with young children often have to shower, change clothes, and sleep on the streets, and blankets just don’t cut it. Third, the tent had to offer heat inexpensively. And finally, the team wanted the recipients to pay for the product somehow, granting a sense of ownership. In India, billionBricks offers donor matching because many people there generally can’t afford the full price of the tent, allowing the organization to sell them for $35 to $40. 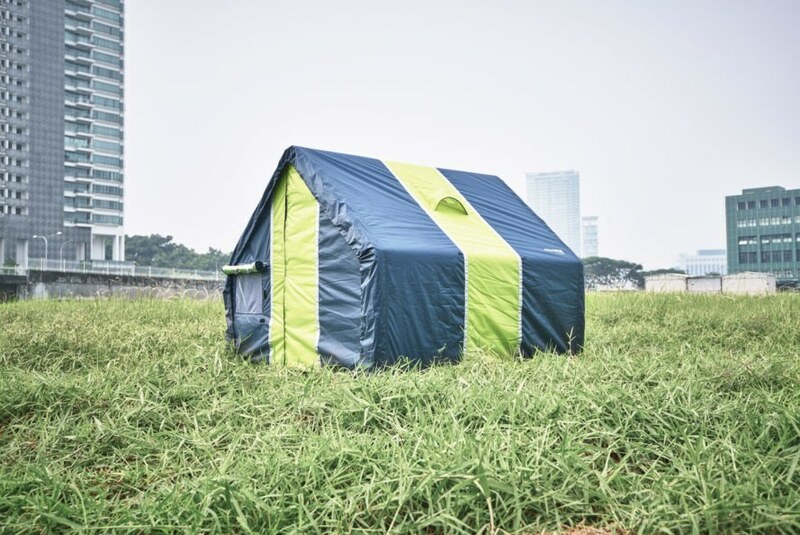 They don’t do donor matching in the United States and Canada, but if a homeless person can’t afford the full price of the tent, $199, billionBricks helps with fundraising, although a person must raise the money themselves. billionBricks isn’t stopping with the weatherHYDE. 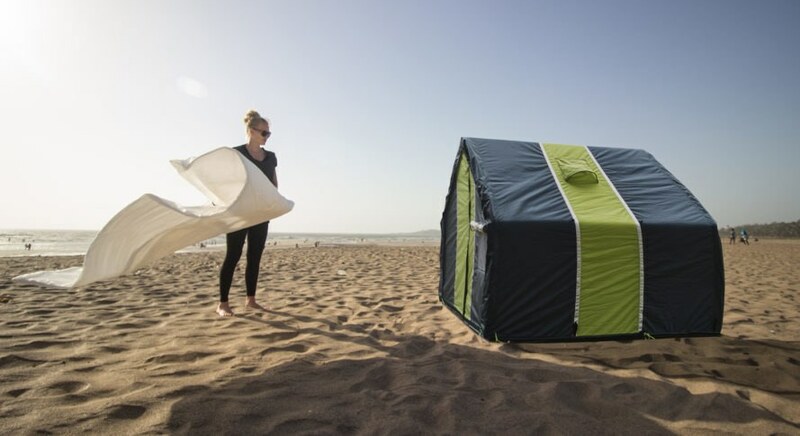 They’re working on a larger version to meet United Nations regulations for refugee housing, along with a showerHYDE to provide refugees with privacy while showering or changing clothes. They’re also working on versions better suited to other climates — like in Africa. They’re also developing the powerHYDE, solar homes that generate more than enough energy to power the dwelling, enabling residents to sell the excess. 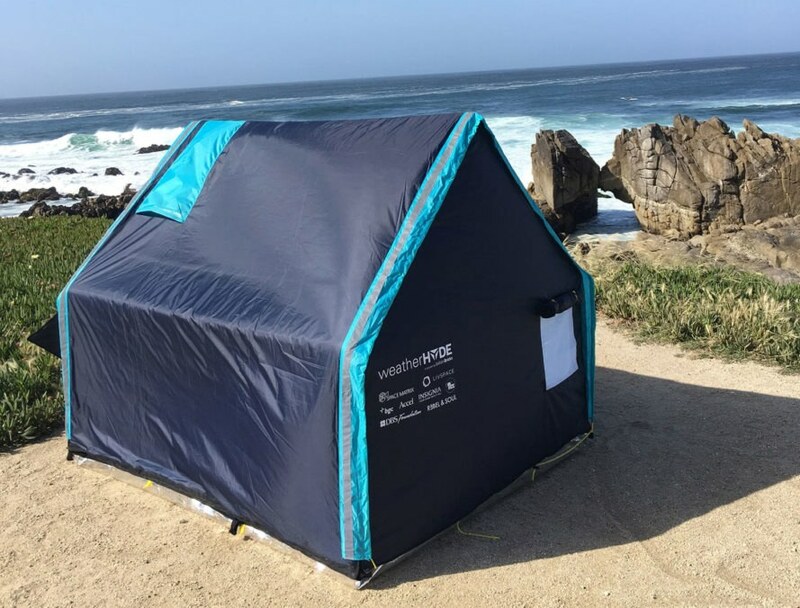 weatherHYDE is holding a design competition right now until January 7,2018 to personalize a tent. An artist will paint the winning design on one tent for the designer and one for the homeless. It costs $25 to enter; you can do so here. weatherHYDE by billionBricks is designed to keep homeless people safe in extreme weather conditions. The tents were designed for homeless families in southeast Asia. Women and their children can find safety and shelter inside weatherHYDE. 15 families received weatherHYDEs in a successful New Delhi pilot project. 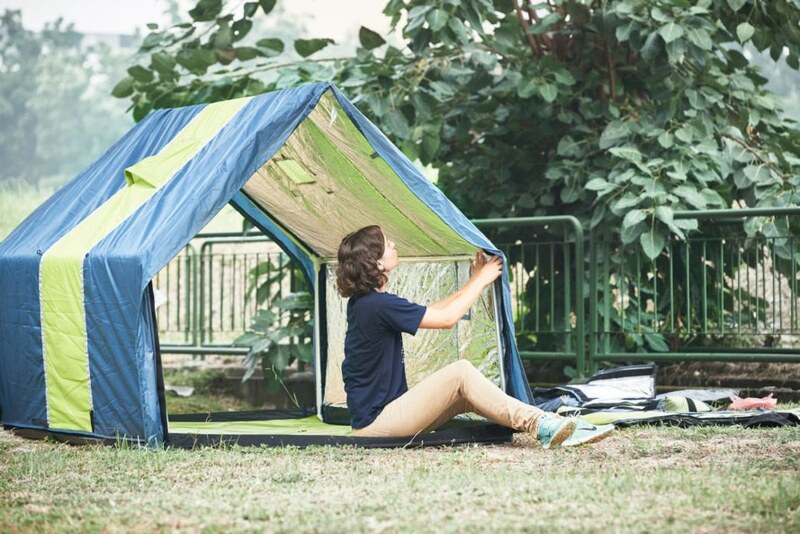 It takes one person around 15 minutes to set up the tent; no tools are required. 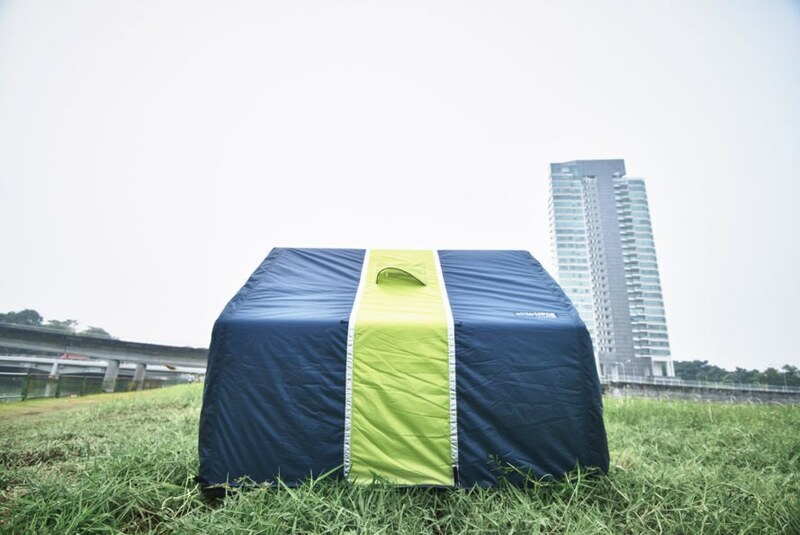 The tent is reversible; one side reflects sunlight, the other traps body heat. People who want to help the homeless can purchase a weatherHYDE online. Campers have also shown interest in the weatherHYDE and can purchase it online. billionBricks CEO Prasoon Kumar told Inhabitat, "It kind of proves the point that if you don’t design something poorly for the poor, everybody would want it." A five-person family can sleep inside a weatherHYDE. The tent is also equipped with a simple locking mechanism to afford some safety. Riots in India left nearly 9,000 families homeless in 2013. Winter hit, and around 30 children perished because of the cold. 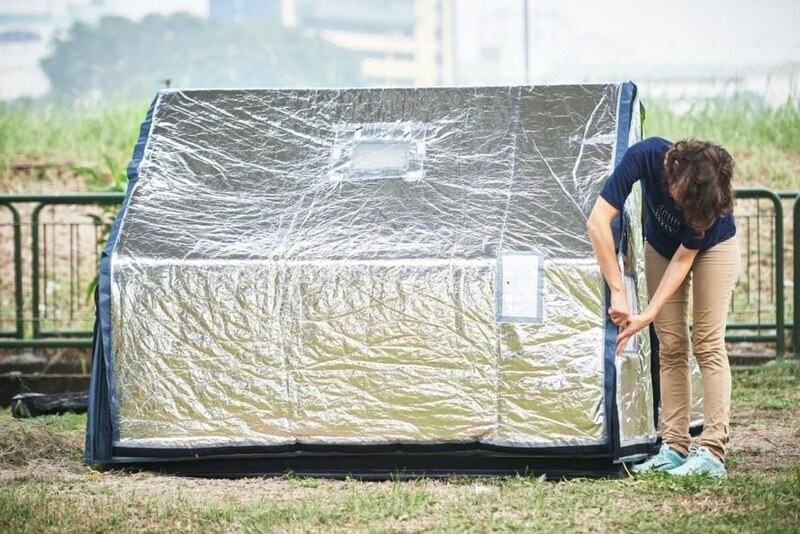 Prasoon Kumar had recently quit his job as an architect to start billionBricks, a design studio dedicated to solving homelessness, and decided to create the reversible weatherHYDE shelter to protect people from harsh weather. 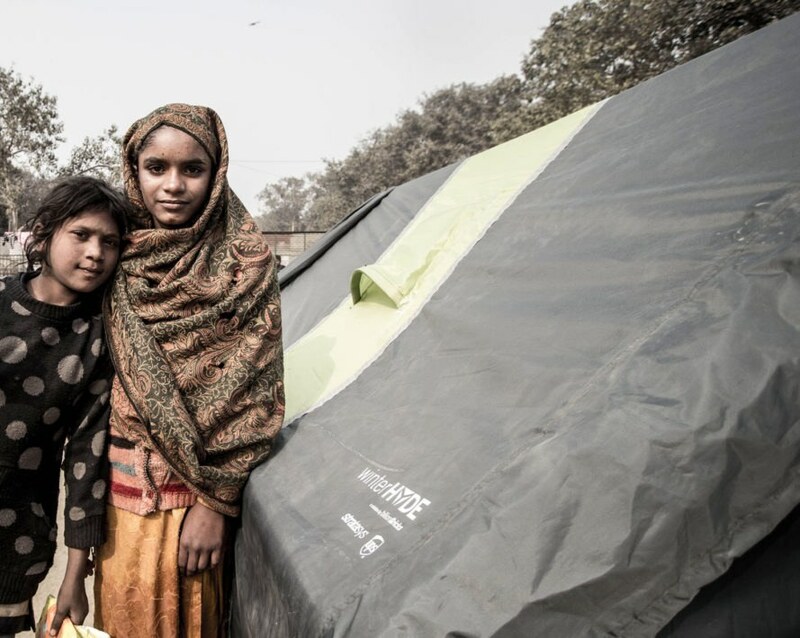 Inhabitat spoke with Kumar about how the tent empowers people - read on to hear what he had to say.